Love a sampler? Start with six half yard cuts of fabric - 2 mediums and 4 darks - add background and sashing fabrics andyou will create an heirloom 62" x72" quilt. Complete instructions for using the the Creative Grids® House Ruler are included to make it easy to cut out future quilts too. 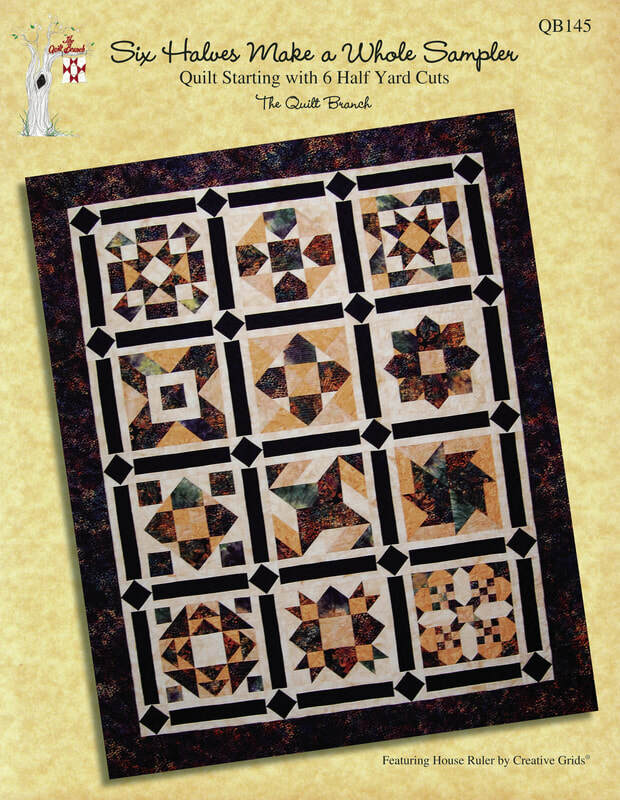 Patterns for using the blocks for a table runner or tote are also included.